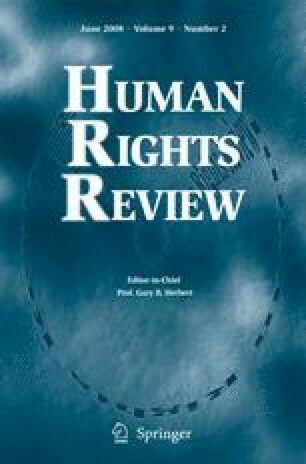 In this analysis of William Talbott’s important book, I note with appreciation his defense of universal moral principles and of moral justification as a “social project,” his focus on the critique of oppression, and his emphasis on empathic understanding in the account of human rights. I go on to develop some criticisms regarding: 1) Talbott’s traditional understanding of human rights as holding against governments and not also applying to nonstate actors; 2) his account of the interrelations among well-being, autonomy, claims for first person authority in moral judgment, and human rights; 3) his strongly rationalist and liberal individualist interpretation of moral judgment and autonomy; and 4) the lack of a role for intercultural dialogue about human rights, which nonetheless are held to apply to all human beings across cultures. In each case, I briefly consider what an alternative approach would look like. Initially presented at the session “Author-Meets-Critics: William J. Talbott, Which Rights Should Be Universal?”, American Philosophical Association, Pacific Division, Portland, Oregon, March 26, 2006. I would like to thank the participants in the original APA session for their helpful comments and especially my fellow panelists James Nickel, David Reidy, and William Talbott.